raaco's empty Boxxser boxes allow you to organise personal storage solutions from scratch. 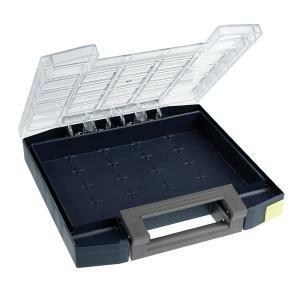 Use the large space as it is, or equip it with the perfect combination of movable inserts. made of polycarbonate ensures contents remains in place.